No Shots? No Records? No School. Children will not be enrolled unless an immunization record is presented and immunizations are up-to-date. Without proof of required immunizations, students will not be allowed to attend school on August 16, 2016. If your child is not immunized due to medical reasons, click here for information about medical exemptions. Immunizations may be given at private physician’s offices or, for those without health insurance, at the Los Angeles County Department of Public Health at no cost. For referrals to no-cost or low-cost immunizations, dial 2-1-1, an information line from the Los Angeles County Department of Public Health. The District Nursing and Student Medical Services also hold regular immunization clinics for those who are uninsured, Medi-Cal recipients, or Alaskan or Native American students. The clinics are open prior to the first day of school. Click here for clinics schedule. On June 30, 2015, Senate Bill 277 (SB 277) was signed into law. SB 277 removes the Personal Belief Exemption (PBE) option and allows exemptions from school immunization requirements only for medical reasons. SB 277 applies to students first admitted to school, child care, or entering seventh grade starting in 2016. Therefore, students entering the 7th grade must have ALL the required immunizations for 7th grade including a Tetanus, Diphtheria, Pertussis (Tdap) booster prior to first day of school. 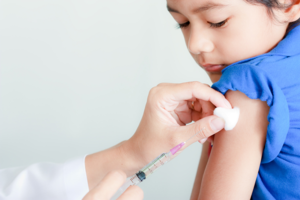 This school immunization law affects all students in public and private schools.